Chilly winter days call for cuddling up indoors. While warmer temperatures can help improve one’s comfort, the dry air, both outside and in, can pose issues like allergies, itchy skin, and a heightened risk of viruses. To improve well-being during winter time, heating contractors suggest using a humidifier for their multiple benefits. 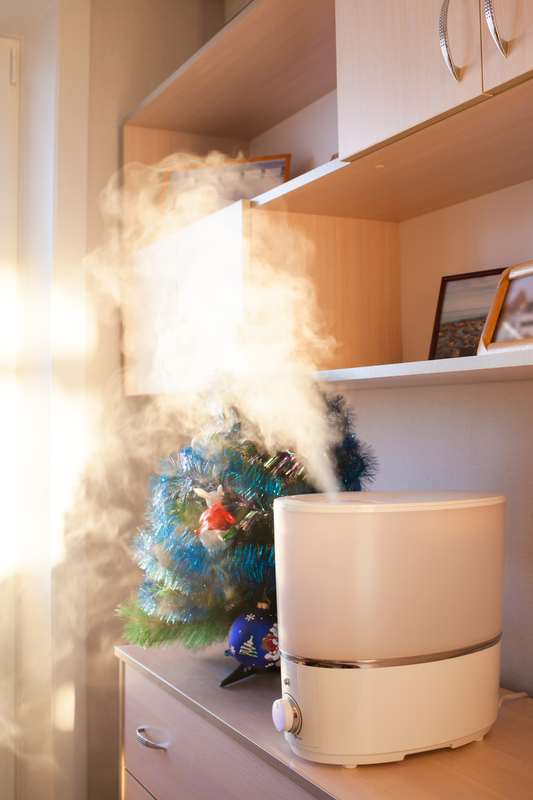 Why Should You Use a Humidifier During Winter? Dry winter air causes problems like irritated skin, an itchy throat, and dry eyes. Heating contractors suggest using a humidifier because the elevated levels of moisture in the air can keep the skin, mouth, and other parts of the body hydrated and healthy. Higher humidity levels also help combat dust mites, which are a common allergy trigger. Cranking up the humidity in your room is also good for your internal health. Researchers found that raising humidity levels to at least 43% in indoor environments significantly curbed the spread of airborne viruses, including influenza. In response to the heightened levels of moisture in the air, about 85% of the airborne viruses became incapable of infection. The researchers found that influenza spreads most rapidly in low-humidity environments, especially after coughing. To stay comfortable and healthy, experts recommend keeping humidity levels around 45 to 50%. Some people notice that their partners snore more during the wintertime. Low levels of moisture in the air irritate the tissues in the throat, which exacerbate snoring symptoms and lead to discomfort. To breathe easier and sleep better, consider installing a humidifier. Stay comfortable and healthy this winter with help from a quality humidifying system. Since 1963, the heating contractors from Guelzow Heating & Air Conditioning Service in Wisconsin Rapids, WI, have provided the high-quality humidifiers, duct cleanings, and heating and cooling services locals rely on. To learn more about the knowledgeable heating contractors, visit the locally-owned and -operated business online. Request your free estimate when you call today at (715) 423-1086.